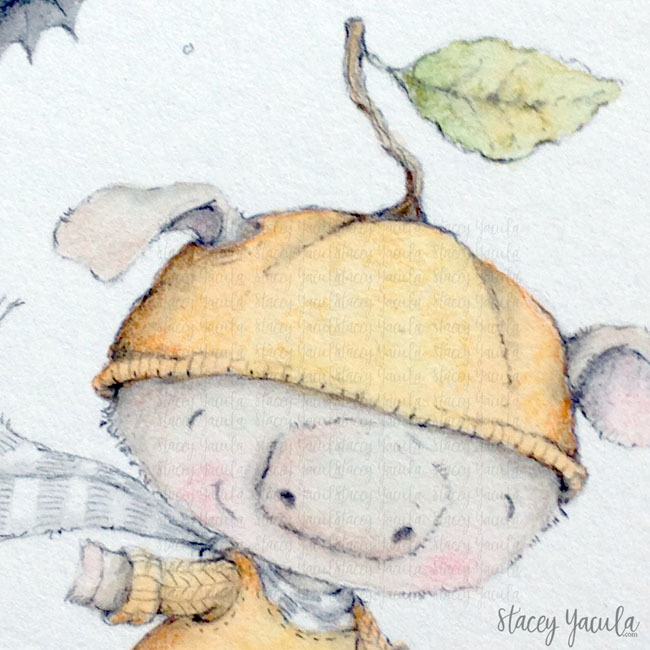 stacey yacula studio: and this little piggy is on it's way to a halloween party! and this little piggy is on it's way to a halloween party! i have been rather quiet. and then we had Thanksgiving. what i wanted to create next. a little lost i would say. it gave me time to think... about my art and set some personal goals. "what everyone else wants me to create"
"where and how can I sell my art"
and so much more that rattles away in my head. i have been working on new characters. to create that children's book that I have always dreamed of. small steps I keep telling myself. and I have been pleasantly surprised with how it is coming along. although, I still have far to go and much more drawing to do. and thinking way to much again. so, i put my drawings aside. 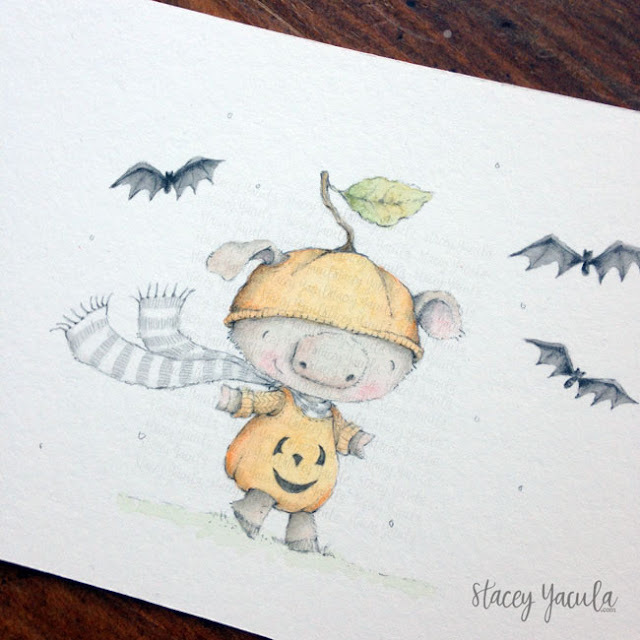 a little piggy on his way with his friends to celebrate halloween! that i had sewed a pig costume for one of my boys one halloween. I love the way you make your little animal characters so childlike. I can just imagine this little guy tottering off to a Halloween parade. thank you Deni(se) and Denimo! your words are so kind!